“Recent statements by politicians, corporate lobbyists and pro-TPP commentators imply that Parliament gets the final say over the Trans-Pacific Partnership agreement (TPPA). That shows woeful ignorance of New Zealand’s treaty making process”, says Auckland University law professor Jane Kelsey. “The Cabinet Manual could not be more clear: “7.112: In New Zealand, the power to take treaty action rests with the Executive.” In practice, that means the Cabinet. The text is not tabled in Parliament until it is signed, which means the Cabinet has already formally indicated its commitment to adopt the text. It is then referred to the foreign affairs, defence and trade select committee, which is required to report back within 15 sitting days, unless the government extends the time. Parliament might be invited to vote on the TPPA, if the government majority agrees, but the vote would be symbolic. Such votes were held on several recent free trade agreements – with the assurance of a bi-partisan National/Labour consensus. That consensus is no longer guaranteed, given the Labour Party’s policy remit adopted at the recent conference. 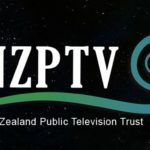 Even where implementing legislation is required, Parliament could refuse to pass the laws, but if the treaty were already ratified New Zealand would then be in breach of its new obligations. But the government could seek to bypass legislation. Controversial changes to Pharmac, for example, might be made by regulation. Past challenges to the effective exclusion of both Parliament and the public from such decisions include reviews of standing orders as well as private members bills on International Treaties promoted first by Ken Shirley from ACT and then by Keith Locke from the Greens in 2000. The Cabinet manualspells out the powers and process for entering into international treaties.Paragraph 7.112 states that “In New Zealand, the power to take treaty action rests with the Executive.” In practice that means the Cabinet. Cabinet decides whether to enter into negotiations, the negotiating mandate and any revisions to it, and what trade-offs are made to conclude a deal. Cabinet then approves the signing of the agreed text by the Minister. This is a definitive step that binds the government to act in good faith towards its negotiating partners. The Cabinet manual makes it clear that by signing an agreement the executive indicates an intention for New Zealand to be bound to that text. This constitutes a goodfaith obligation under international law. Parliament does not get to see the completed text until that stage. According to the Cabinet Manual, a signed TPPA would then be presented to Parliament, accompanied by a National Interest Analysis. These analyses have been widely criticised during the standing orders reviews and submissions on the International Treaties Bill for their lack of independence and balance, because they are prepared by the same Ministry ofForeign Affairs and Trade that negotiated the agreement. The treaty is then referred to the foreign affairs, defence and trade select committee, which has the discretion whether or not to seek public submissions. But the select committee has no substantive power. The Cabinet Manual (para 7.119) makes it clear that the executive can move to ratify the TPPA while the select committee process is still underway. Specifically, the government cannot ratify the treaty until the select committee has reported or 15 sitting days have elapsed since it was presented to Parliament, whichever is sooner. In other words, the maximum period for the select committee to report on the bill is 15 days after it is tabled. Within these 15 days submitters need to (a) access the document, (b) analyse its technical detail across a reported 29 chapters, (c) write an accurate and detailed submission, and (d) appear at a hearing before the select committee, and for the committee to prepare a considered report. While the government can grant an extension, and has done so in the past, the Cabinet controls that decision and how long an extension would be. The committee reports back toParliament. But Parliament has no right to debate the treaty. The House maydecide to do so – which means the government majority agrees. Parliament’s only guaranteed role would be to implement any legislation that is needed to bring New Zealand into compliance with the TPPA. Under the Cabinet manual, that legislation is only introduced after the time for the select committee to report has expired, by which time the Cabinet could have ratified the treaty. 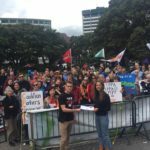 There is no requirement that the legislative changes that are needed for New Zealand to comply with the TPPA have been approved by Parliament before the treaty is ratified. 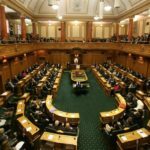 If Parliament failed to pass the necessary laws, the ratified treaty would remain binding – and New Zealand would be in breach of its new obligations. If the changes can be achieved through regulation or administrative actions, Parliament would noteven play that role.